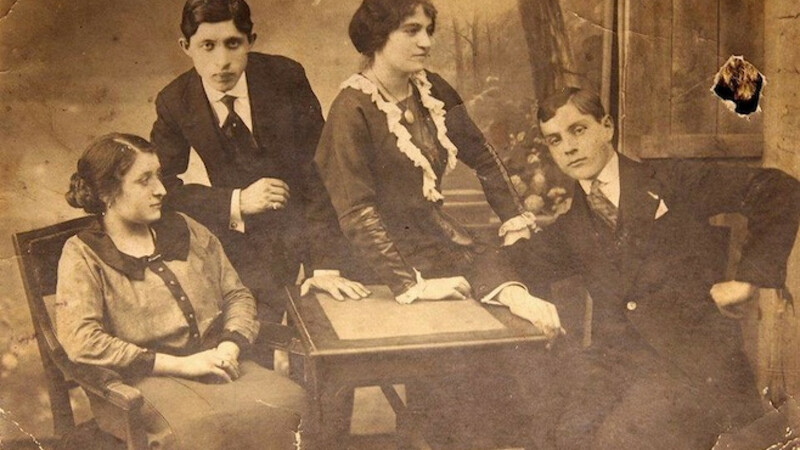 Maria and Lev Hubar (both on the right), Odessa, 1916, shortly before Lev left for the front in World War I.
Daisy Sindelar traveled to six Ukrainian cities to talk to people about what their old family photographs say to them about who they, and their country, are today. 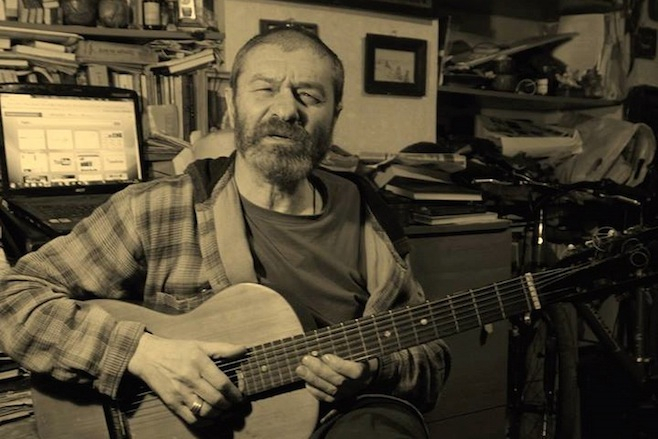 This week, Oleh Hubar, 61, a city historian, tells his family's story from Odessa. Odessa is traditionally a Russian-speaking city. 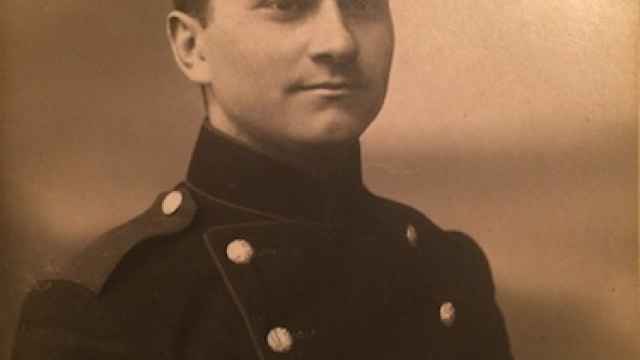 Although before the Bolshevik Revolution, of course, it was very common to hear Yiddish — one out of every three people spoke it. My family is like many Odessa families -- a big mix of ethnicities and religions. 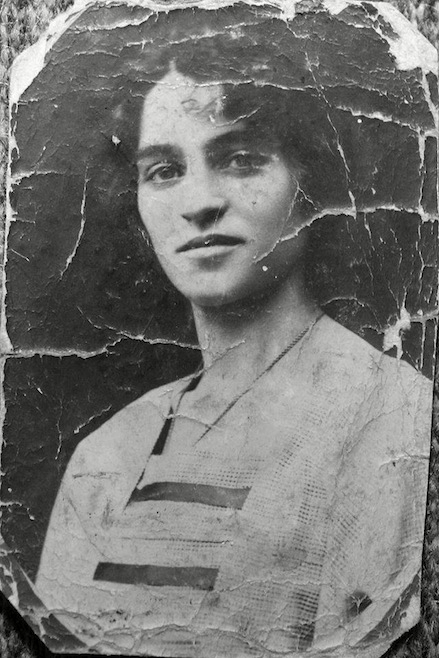 My paternal grandmother, Maria Kazakova, was half Jewish and half Russian Orthodox. She was raised in the household of her aunt, who was married to a school-district official in Odessa. She ended up marrying Lev Hubar, who worked in the office of a milling company with his father and who fought in World War I. The Hubar family was considered part of the Odessa elite. 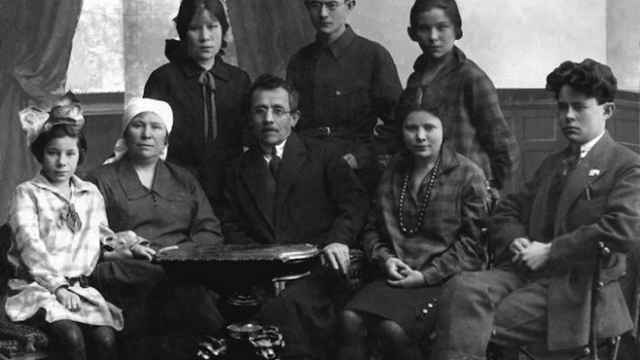 Oleh Hubar's mother, Yevdokia (far right), Odessa, early 1930s. 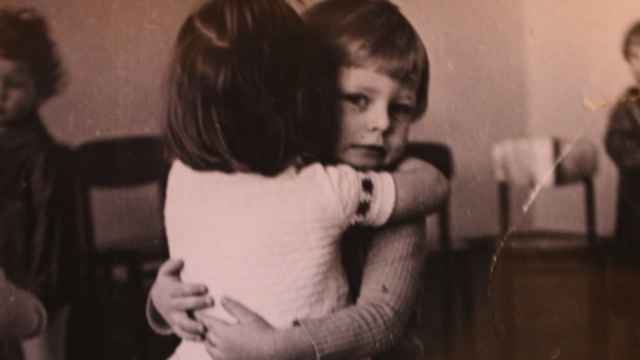 Yevdokia and her cousin Liza (above right) both survived the pogroms of World War II. 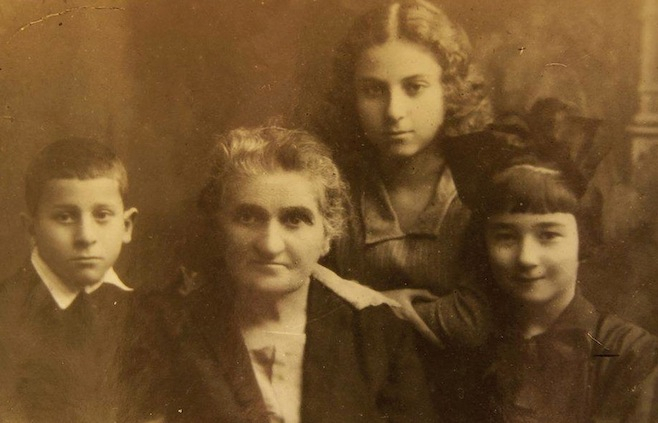 The two relatives on the left died in the Odessa ghettos. She was lucky enough to survive World War II. Odessa Jews were murdered en masse by Romanians and Germans during the occupation. Many were forced into ghetto settlements and left to die from bombings or exposure. 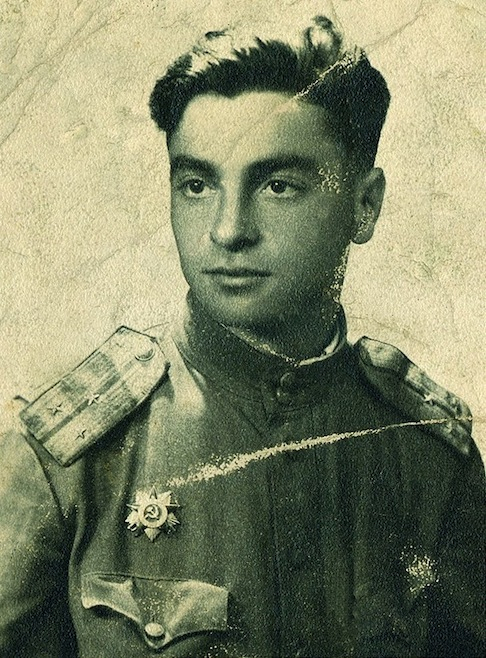 Iosif Hubar, wearing the Order of the Patriotic War. Regarding the current situation, I can say that the war isn't being fought in the east. It's certainly not being fought in Odessa. It's being fought at a much, much higher level. And we — ordinary people — are nothing more than bargaining chips in a big game. 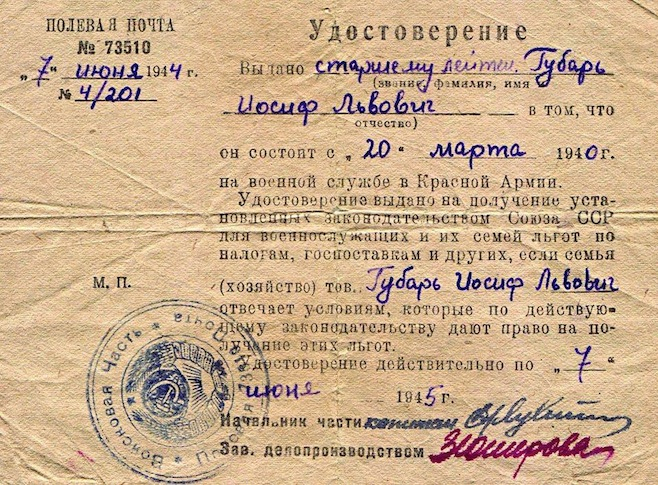 Certification of Iosif Hubar's service in the Soviet Army. This document allowed his mother to receive special tax benefits and food-supply rations. I've had many opportunities to leave Odessa, to leave Ukraine. All my relatives left. My father, mother, and sister Inna all died in the United States. My uncle and aunt did also. And all their children live there. I'm all alone here. But I'm a sixth-generation Odessa native. I don't want to leave. 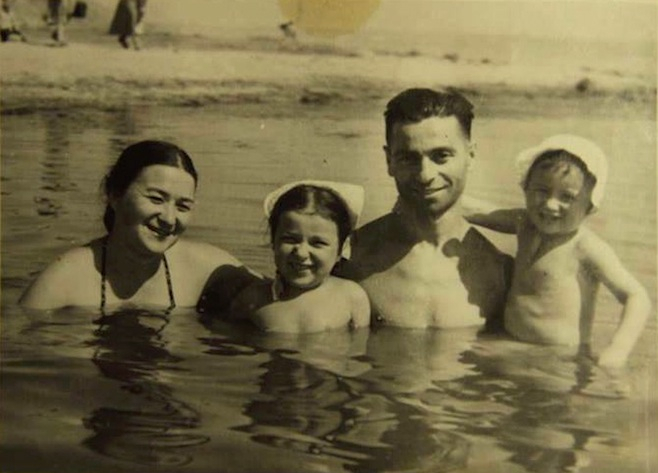 Yevdokia, Inna, Iosif, and Oleh Hubar swimming in the Khadzhibey Estuary outside Odessa, mid-1950s.